It can be frustrating for users when they try to click on a blog post preview to read more and only a specific element of the preview is clickable. By making the entire preview clickable, you enable visitors to easily select the content they want and jump right into reading it. Include a hover state on each of your post previews to highlight for visitors that the entire element is clickable. Not only do you eliminate the distraction of being unable to click, but you also add an engaging element to the blog and encourage visitors to click on more content. Add author images (and bios) to help your readers put a face to the name of all of your blog contributors. Include associated author bios at the bottom of each blog post, so readers can learn more about them and their place within your organization. In our highly connected society, it's important for readers to relate to your brand; adding this interpersonal touch will help you gain user empathy and conversions. Rather than endless page numbers at the bottom of your blog, include only a single "Read More" or "Next" button to encourage endless scrolling. This will also keep users from becoming overwhelmed with all the content on each page and help them consume your posts in small, manageable chunks. Don’t drown your readers in numerous, vague blog tags. Focus on a specific number of tags that are related to your business, industry or SEO — and stick to those topics. If you think about it, all of your content should easily relate to these tags, and if something doesn’t, maybe it shouldn’t be on your blog. With established topics, your visitors will know exactly what your blog is about and can more readily understand what content types they should expect. After you’ve honed in your top priority blog tags, add a filtering function at the top of your blog page to help visitors sort your content by a desired topic. Visitors know what type of content to expect; now give them the ability to search for what they want. You should also include an “all” topics filter, so they can also choose to browse your blog by its most recent content. Lastly, your blog exists in order to attract visitors with helpful content and convert them into leads. Add a conversion point to your blog to start them down the marketing funnel. By making it a pop-up CTA rather than a stationary one, you ensure your readers will actually see it, and you increase the opportunities for conversion. 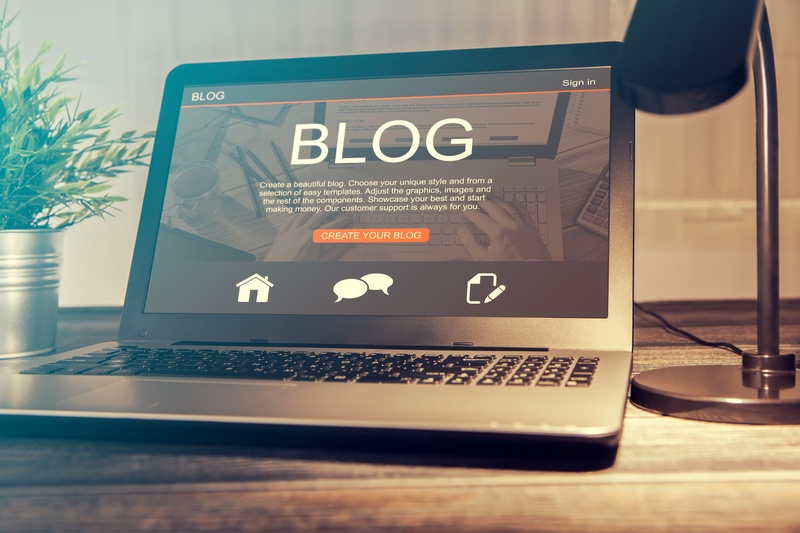 When your blog page has reached its full potential, learn how to fully optimize its content to help you gain greater online visibility while generating qualified traffic. Without SEO, search engines can't find your website or add your content to their databases, which causes you to miss out on amazing opportunities to drive traffic and help prospects learn.